This recipe for easy to make soft, chewy, multi grain Oatmeal Dinner rolls is loaded with real, cooked oatmeal giving the rolls a hearty, yet chewy texture. 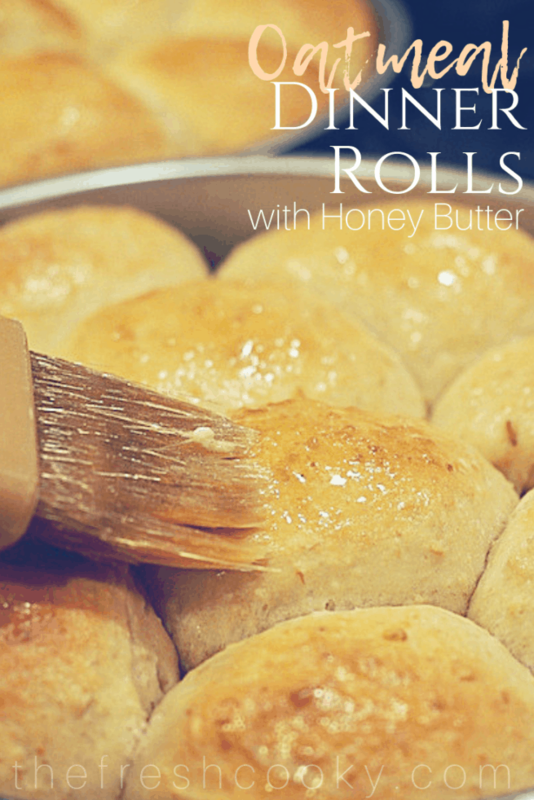 Give them a try tonight, even a beginner bread maker can make these rolls. 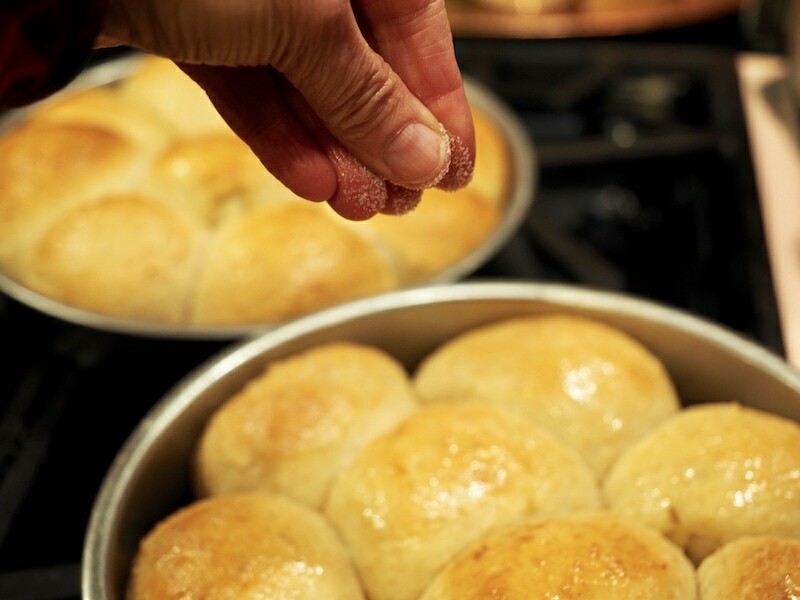 This recipe for Oatmeal Dinner Rolls bring back wonderful memories for me from my years of traveling with a women’s ministry called Hearts at Home. They recently “closed their doors” and it’s been years since I’ve been a part of it, but these women where the dearest, most authentic, fun, frugal, compassionate, creative, energetic, lively, godly, most hard-working women I know! A shout out to all of you! Lisa, Jill, Kelly, Brenda…I know I’m missing some, but you women ROCK! 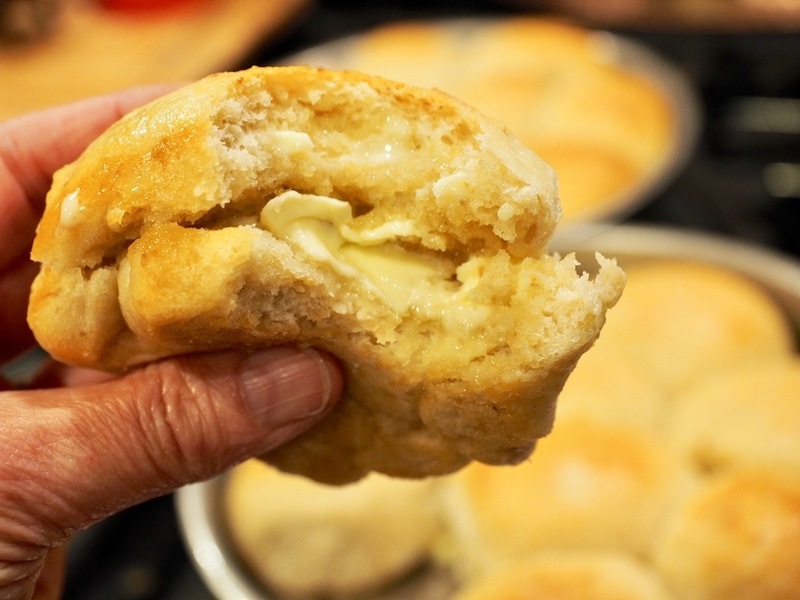 They were so committed to saving money, that they would schlep crockpots filled with chilis and soups for our staff dinners AND if we were lucky these tender, fluffy, oatmeal rolls showed up. I’m pretty sure that Kelly was the one who brought these babies! And she’d usually warm them on top of the simmering crockpots wrapped in a blanket of foil (brilliant!) 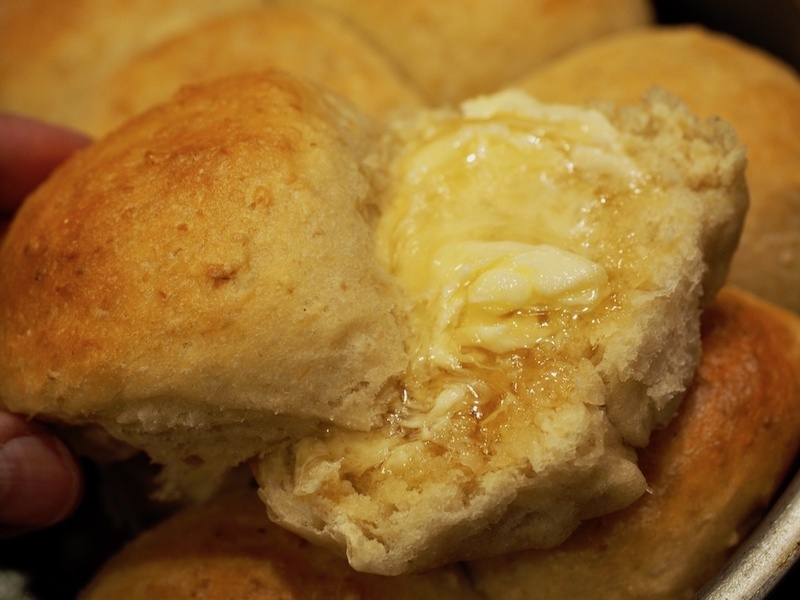 and bring a big container filled with creamy, gooey honey butter to slather on said rolls. These women walked through so many important stages of life with me; singleness, dating, engagement (they throw an awesome bridal shower), marriage and even my babies. I love these women! Genuine and true! Jill Savage the founder of Hearts at Home, check out her blog and Instagram accounts sometime, you will be encouraged. All of these women are encouragers, filled with wisdom and hard workers. I’ve worked with a lot of ministries throughout my life and I have to say that these ladies were the most down-to-earth, with a willingness to jump in wherever was needed! I was sad when they closed their doors, but I am proud to call them friends. Let’s get on to these amazing rolls! 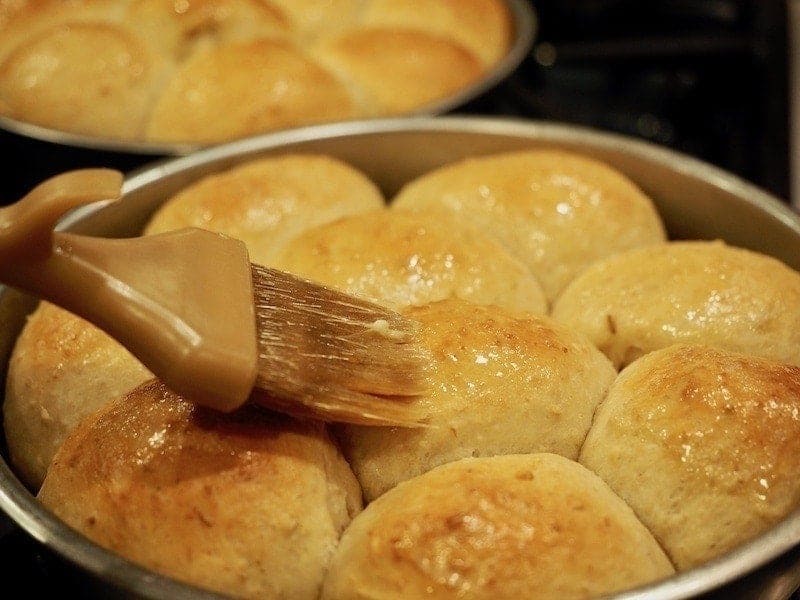 They take a little bit of “work” more patience than work really and if you are willing to stick it out to the end you will have 18 soft, oat-y, chewy dinner rolls that everyone will rave about. Start by preparing your oats. I am not a huge fan of quick cooking oats, because regular oats don’t take too much longer and they taste so much better! But you can interchange quick cooking for regular. 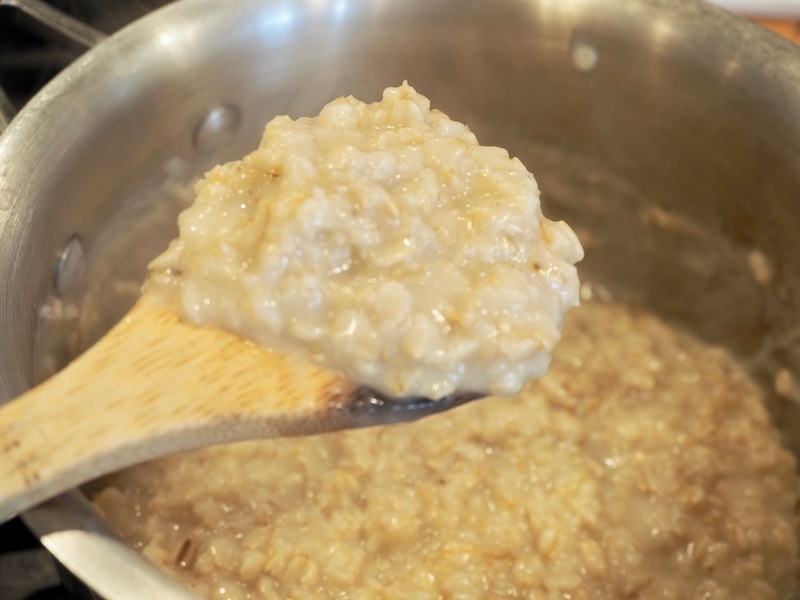 Place your oats, water and butter in a medium saucepan and simmer until soft. If using quick-cooking, then just simmer for 1 minute. If using regular, 4-5 minutes should do it, until they are nice and soft. Set aside to cool to lukewarm. Soft, oatmeal-y deliciousness. Meanwhile, dissolve your yeast. 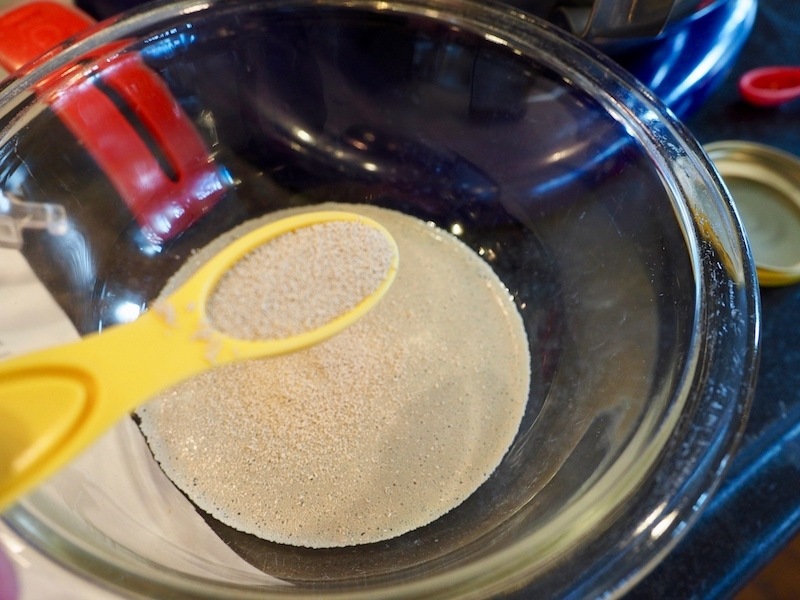 In a small bowl, pour your warm water into the bowl, then your yeast and stir to dissolve. 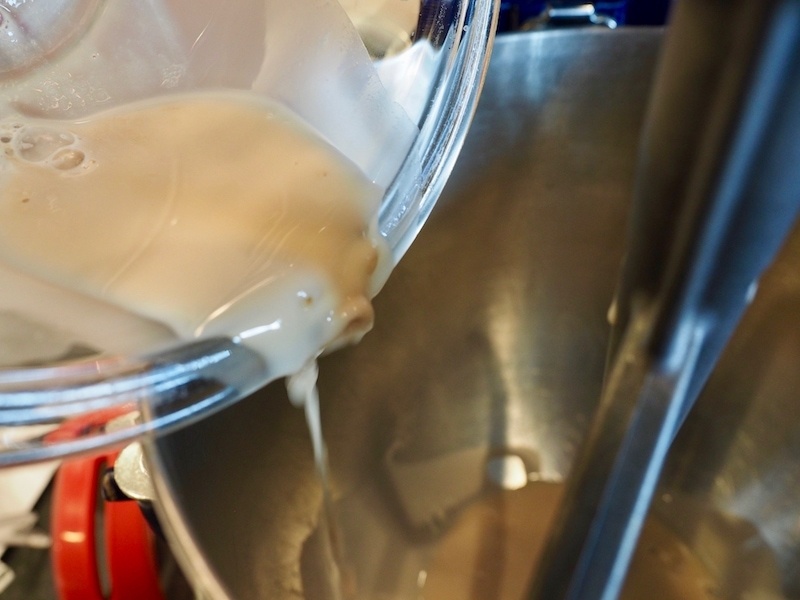 Pour your dissolved yeast into the bowl of a mixer, fit with paddle blade. Add your all natural cane sugar and your brown sugar, mixing on low to combine. 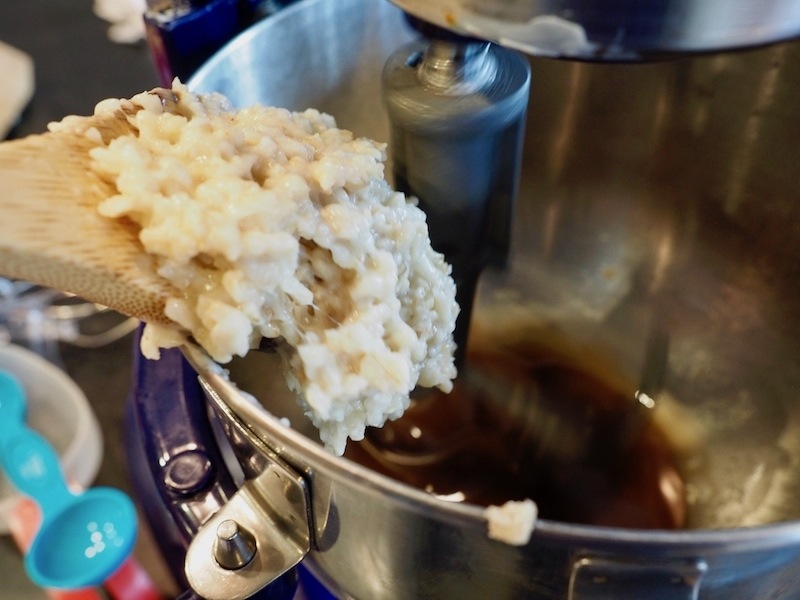 Once your oats are lukewarm, stir the salt into the oats, then add the oat mixture to the yeast mixture, if your oats are too hot (still steaming) it could “kill” your yeast, so be sure to let them cool to lukewarm. And be as messy as you like, I couldn’t scoop these things in for the life of me! Now measure and add your all-purpose flour, start with 3 cups, slowly adding the fourth cup. As the flour works into the dough, add more as needed until the dough is smooth and elastic, but not super sticky (it might be a smidge sticky). Switch from your paddle attachment to your J hook (bread dough attachment) if you have one. And “knead” your dough on low for 6-8 minutes. 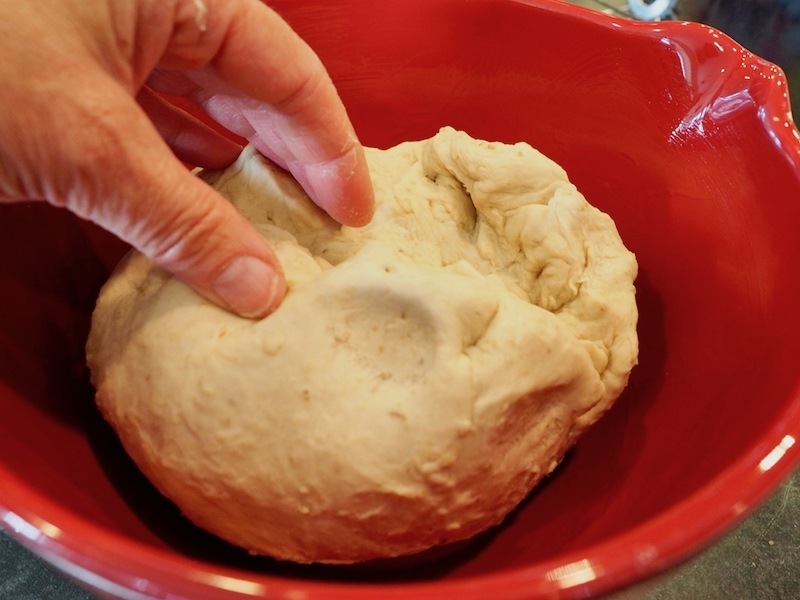 If you don’t have a dough hook, remove your dough and knead on a floured surface for about 6-8 minutes. Grease a medium sized bowl with some oil and turn dough into round ‘blob’ putting the smooth side in the bowl first, turning once to grease the top. Smooth side up for rising, now lightly greased after turning once in the greased bowl. Cover with plastic wrap or a clean damp tea towel and let rise in a warm place until doubled. If you have a proof setting on your oven use that setting. Otherwise, you can preheat your oven to 100, turn off and place dough in oven and allow to rise until doubled, about 45 minutes to an hour. Ta-daaaaa! This is my favorite part! 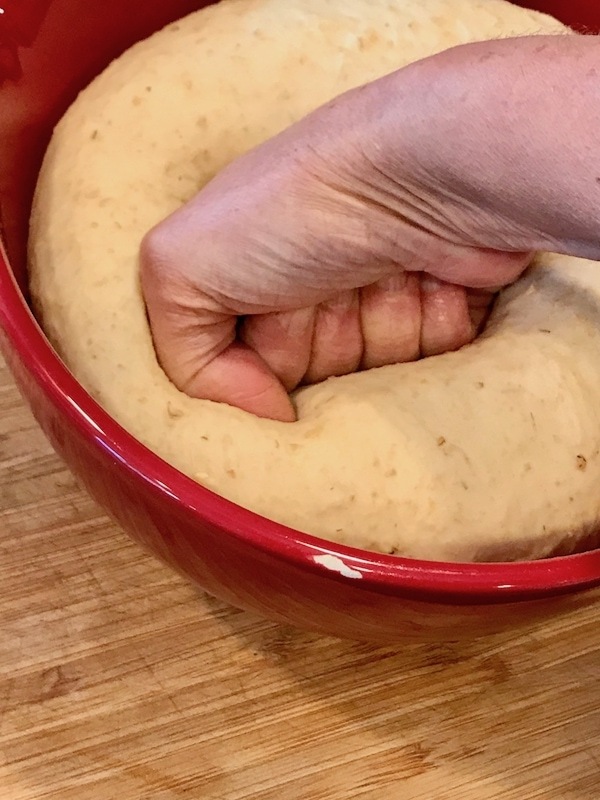 Punch the dough down, literally using your fist (clean) punch into the center of the dough knead a few times to smooth out again. 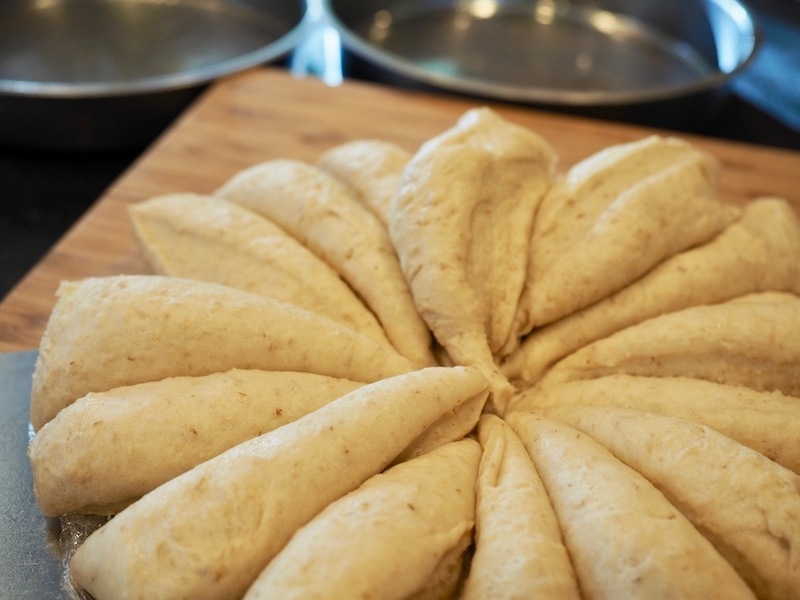 Once your dough has rested, segment the dough into 18 equally shaped pieces. I used my bench scraper and cut into roughly 18 pieces. 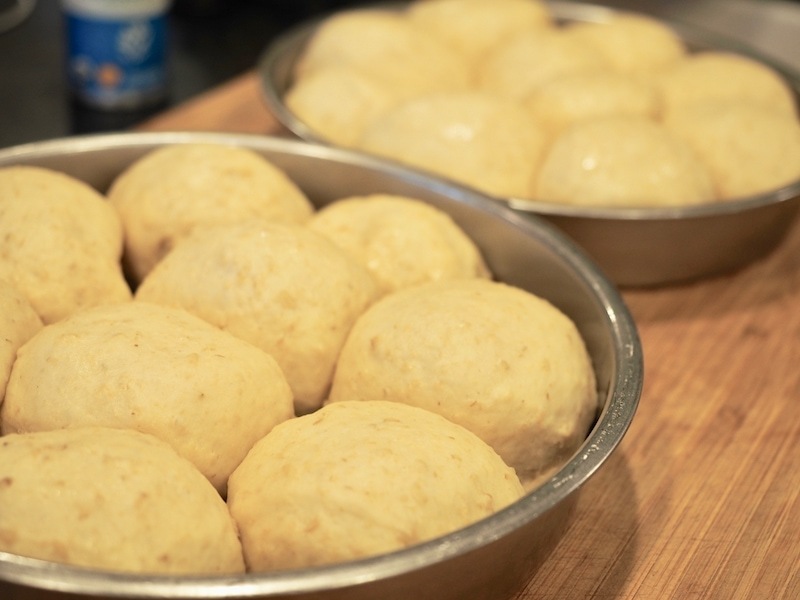 Don’t worry if they aren’t exact, you can pinch from some to make your dough balls about the same size. Place the rolls into two greased (sprayed is fine) 9″ round pans. You’ll have about 18-20 rolls depending on how large you make them. Spray the tops with a little oil, or brush on a little melted butter. Cover with plastic wrap or a damp tea towel and return to the warm place to allow to rise until double again, about 45 minutes to an hour. Once doubled, preheat your oven (without your rolls in it) to 350° and bake until golden brown, about 20-25 minutes. Remove pans to wire cooling rack and if desired, brush tops with a little melted butter. And sprinkle with a little sea salt; oats and salt, they just go together! Allow to cool slightly, then serve warm with honey butter (recipe included). Delicious paired with a simple soup, like this Better-Than-Panera Broccoli Cheese Soup. If you enjoyed this recipe, you might like these as well. TOOLS RECOMMENDED FOR THE RECIPE! 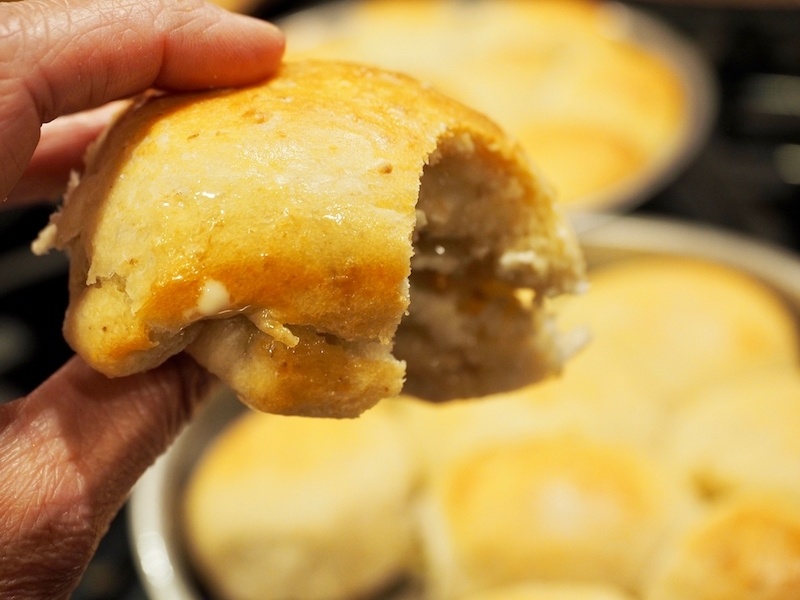 Soft, chewy, with the sweet nuttiness of oats; these dinner yeast rolls will quickly become a favorite. In a medium saucepan, bring the water, oats and 3 tablespoons of butter to a boil. Cook and stir for 4-5 minutes, until soft. If using quick cooking oats, cook and stir for one minute. Remove from heat; cool to lukewarm (stirring occasionally). Meanwhile, add warm water to a small bowl and add yeast, stirring to dissolve. 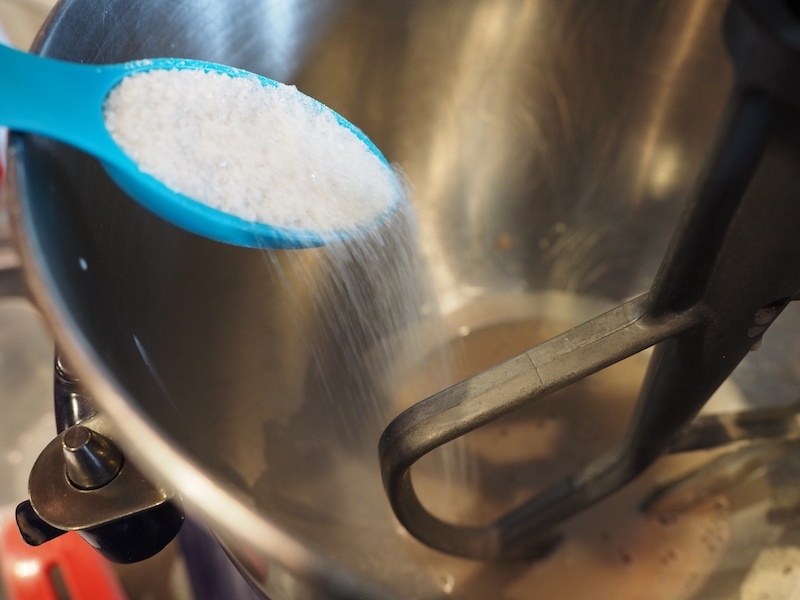 Pour dissolved yeast into bowl of mixer and add sugars, mix on low to combine. Once oat mixture has cooled, stir in salt. Add oat mixture to yeast mixture, mixing on low to combine. Add 4 cups of flour, on low. Mix until smooth. If needed add 1/4 cup of additional flour at a time to achieve a soft dough. 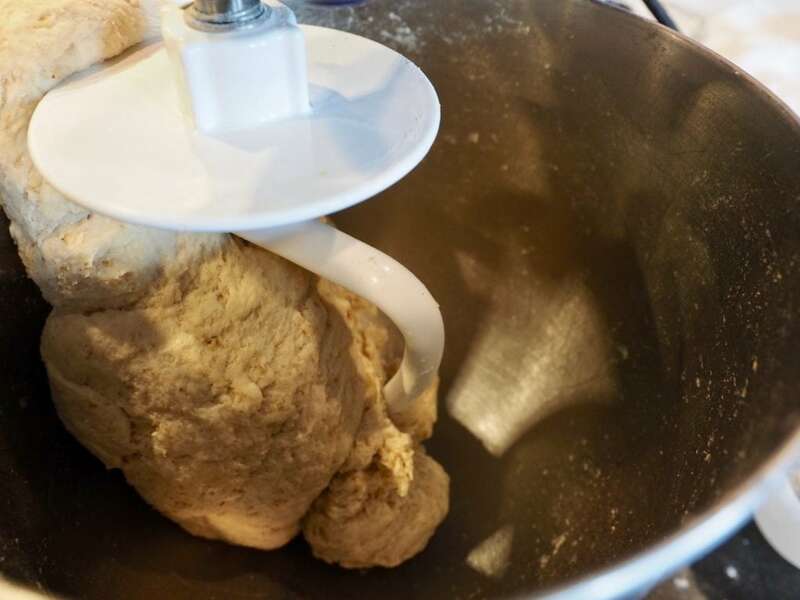 If you have a dough hook attachment, swap it in and knead the dough for 6-8 minutes on low, until smooth and elastic. 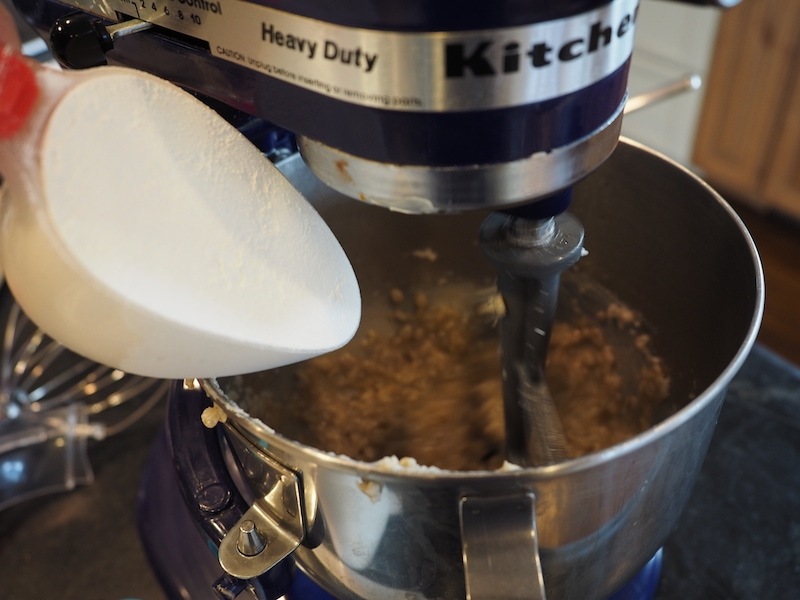 If you do not have a dough hook, remove from mixer onto floured surface and knead for 6-8 minutes by hand. 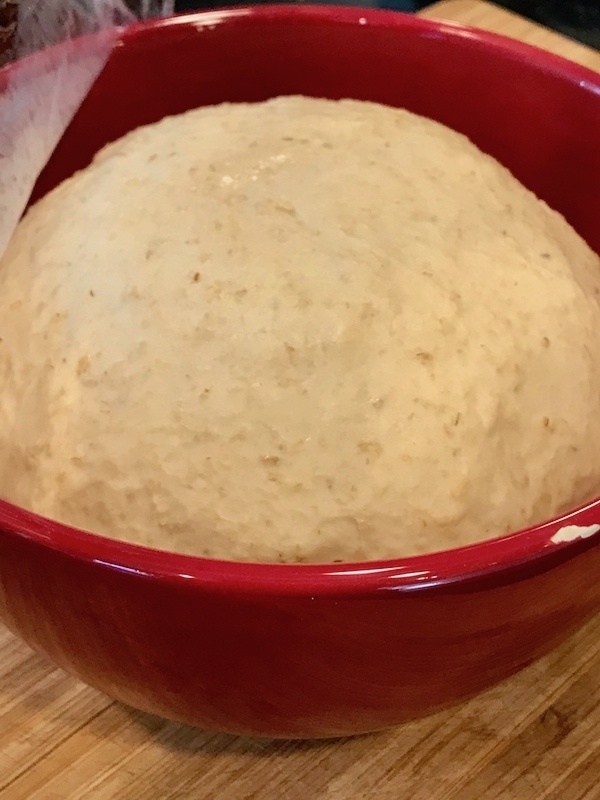 Place dough in a medium to large generously greased bowl (can be sprayed, but I like to use a little oil), turning dough once to grease the top of the dough ball. Cover with plastic wrap or a damp tea towel and set in warm place to rise until doubled, about 45-60 minutes. 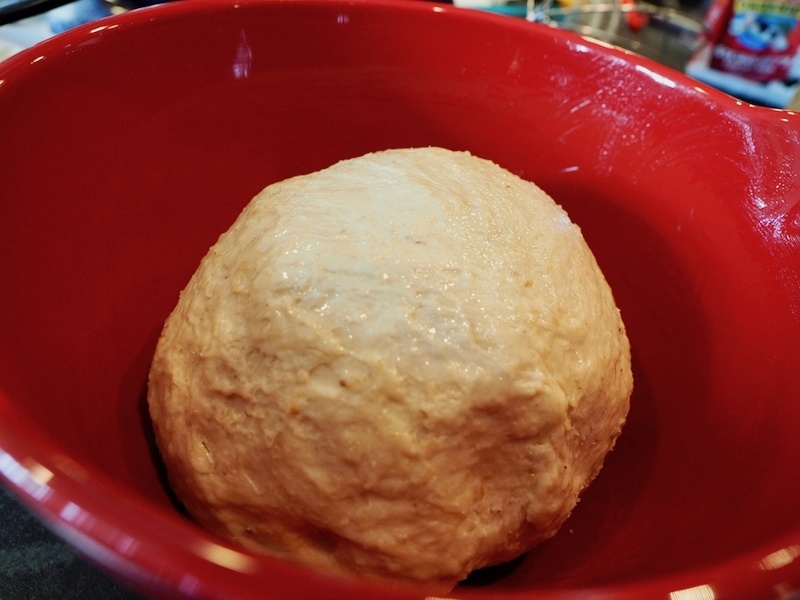 Once doubled, punch dough down; allow to rest for 10 minutes. 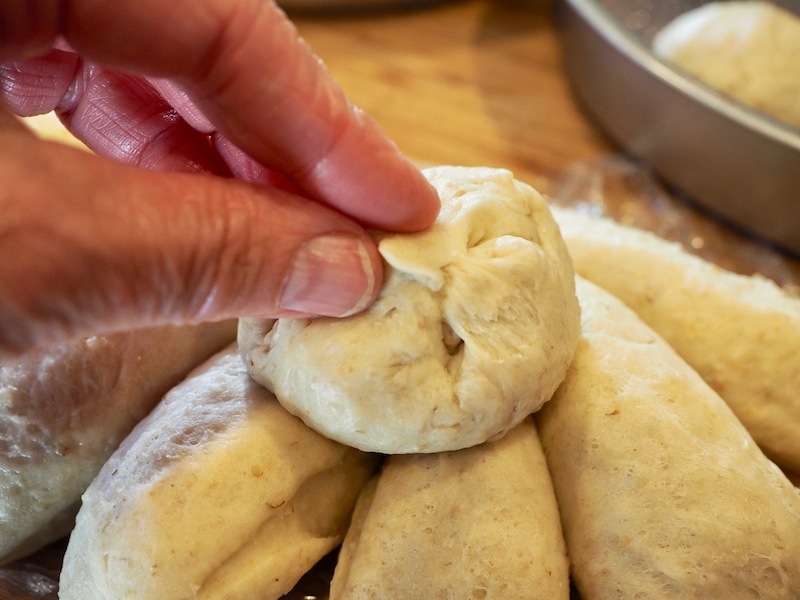 Segment dough into 18 pieces and shape pieces into dough balls of similar size. 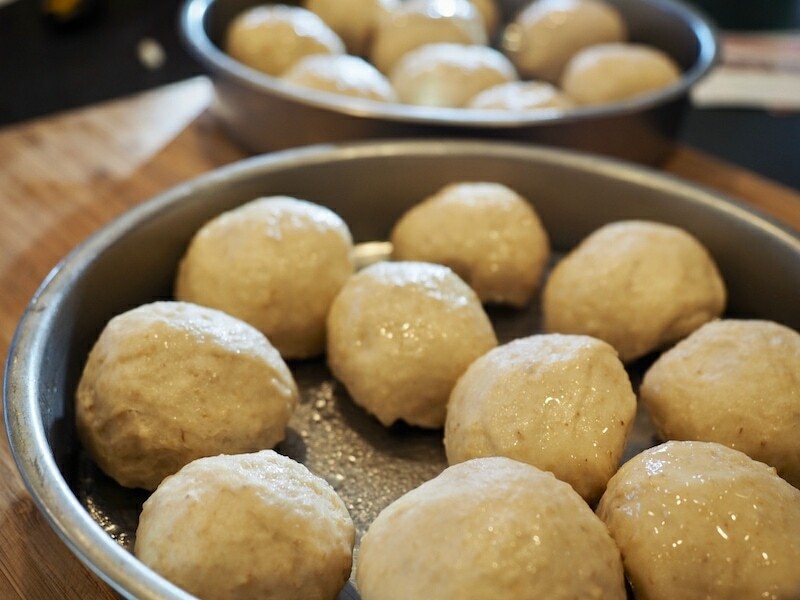 Place dough balls in two, greased 9 inch round baking pans. Cover with plastic wrap and return to warm place to double, about 45 minutes. Remove pan from oven to wire racks and brush tops with melted butter (optional) and sprinkle with a little sea salt. Add one stick of softened butter with 1/4 cup of honey. Using a small spatula or spoon mix butter and honey together until smooth. Store in fridge and bring to room temperature before serving. Copyright 2018 | This recipe for Oatmeal Dinner Rolls was featured first on The Fresh Cooky.